Make a rule that no bill can be more than 50 pages. If Congress can't write a meaningful bill in 50 pages, then you are trying to control things too much or give special bennies to too many people. Also, . Bring in some English experts and produce a succinct summary for "everyman" to read. 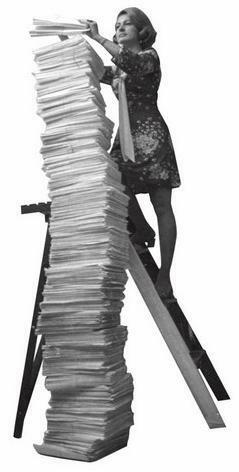 How many of the US citizenry think that Congress actually read the 2700 pages of Obamacare legislation in three days. It's a joke. How many of you can read a 2700 page book in less than three days. Who are they kidding? Who are they serving? Who have they served? Certainly not us! BTW, the reconciliation language and the amendments pushed the page total to well over 3,000 pages with almost every word intended to control one facet of your life or one part of your body. Keep the government out of our lives and our bodies, please! One more point. Add a special technology cuff or whatever tech device needs to be built so that each time a representative in either Chamber votes, they are answering in the affirmative that they read the bill. The cuff sends the true / false sensory data to the vote meter and if they are lying, their vote does not count. I know that our legislators would not want such as device because if it worked on legislation to assure bills were read, it can be worn all the time so that the public can always tell whether their "Honorables," are telling the truth. Rather than having to trust them, the cheapest thing we can do is buy them all cardboard transfiles so they have boxes to take all their crap out of their Washington Offices for the big move back home. Once we get them their moving material, let's all simply throw the bums out!